Recently, art historian Bella Meyer of New York City, granddaughter of famed Russian artist Marc Chagall visited Lafayette. She came to share stories about the art of her grandfather at the Children’s Museum of Acadiana and to visit the interactive exhibit of his artwork on view there. She also delivered a slide presentation about Marc Chagall’s art at Hamilton Hall auditorium at the University of Louisiana at Lafayette. She was hosted by Children’s Museum representative Deborah Norsworthy, and partook of her first Cajun home-cooked meal prepared by Mary Perrin, who also hosted Mrs. Meyer during her visit. 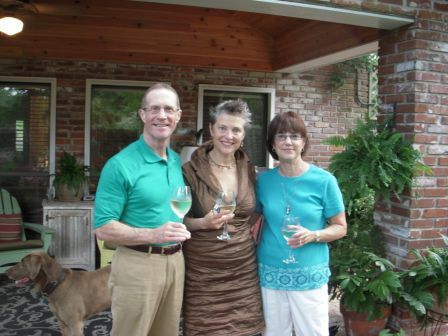 Photo 017: Warren A. Perrin; Bella Meyer, granddaughter of famed Russian artist Marc Chagall; and Mary Perrin. 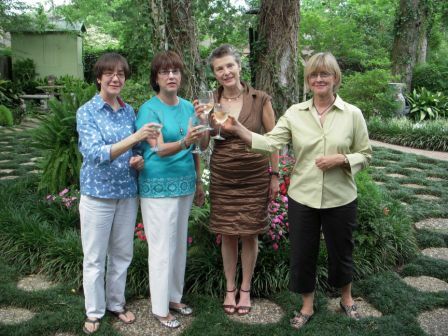 Lafayette artist Mary Beyt; artist and hostess Mary Perrin; Bella Meyer; Rene Roberts, Acadiana Center for the Arts.